I didn't have any Halloween bags to enjoy this month...and when I saw the tutorials over at Daisy Cottage Quilting, I knew I had to do these! I was doing the happy dance last week when I received the kit for the big bag and the zipper pouch...and then was Snoopy dancing when I figured out I'd have enough fabric left to do the small bag! Yes, you heard me right...I did a zipper pouch. It only took me three attempts and two broken needles to get it in, but I did it! I still need a bit more work on zippers, though. 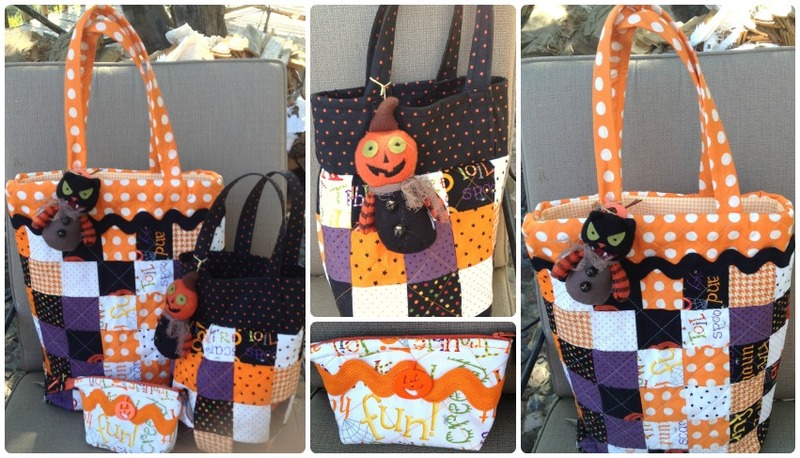 I'm in love with the way they turned out...the fabrics are way cute, the rick-rack trim is just perfect, and those little Halloween buttons on the zipper pouch are just the perfect finishing touch! I used them today at the grocery store, and got a lot of compliments from the customers and the store clerks. One thing I need to remember: add candy to the bag to share with the little ones! A zipper, a zipper, you did a zipper!!!! I'm so proud of you. Now I can send you all the projects I have that need zippers. I won't embarass myself by asking for your address - LOL! Give Edgar a hug for me. Yayyyy you did it. I'm so happy you liked the tutorials. I thought I left a comment but I was out of town and I guess it didn't go through. 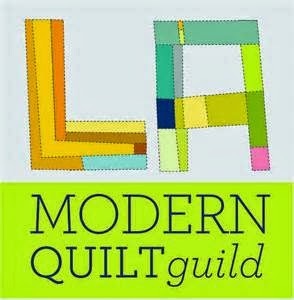 Thank you for the shout out for Daisy Cottage Quilting. I appreciate it so much!! !